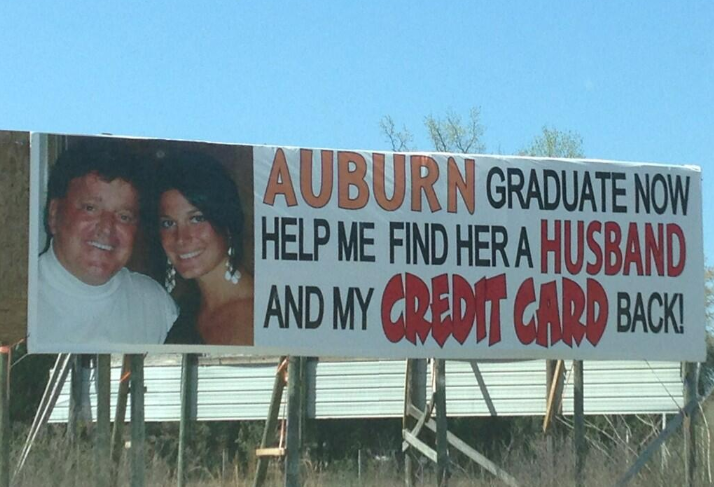 This lovely new Auburn grad (presumably from Baker, Fla. where this billboard was spotted) apparently failed to get her MRS degree. And Dad is taking matters into his own hands. Or something. Thanks for the context, James. I thought it was pretty gross until that comment. Now it’s only a little bit gross. Very patriarchal in a weird Jane Jetson takes George’s wallet kind of way. 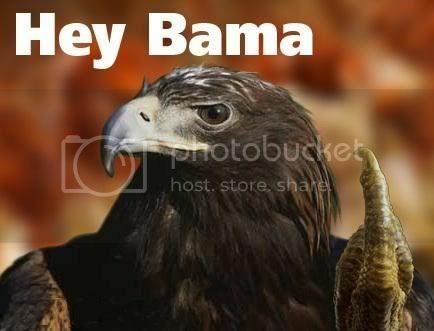 I don’t mean that thewareaglereader’s coverage is sexist, just the sentiment on the billboard. That is pretty funny, but a pretty girl probably doesn’t need to advertise to find a hubby… assuming she really wants one. It most definitely wasn’t advertised from a personal level, but more of a business strategy…. AND MISSION ACCOMPLISHED! It gained the attention it was suppose too and how wee we sit…. talking about it. Business is business. Some people seem to think she looks cheap.